At Jim's Heating & Cooling, we understand home comfort. 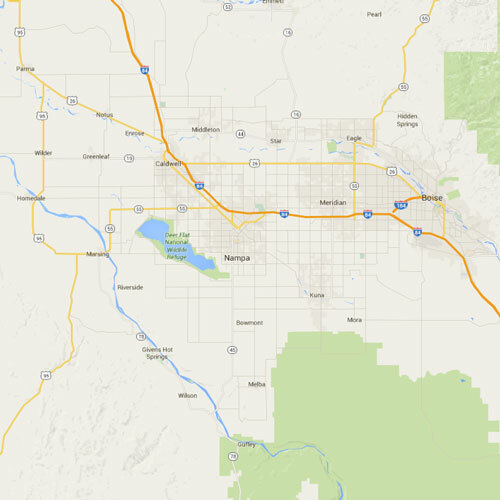 We provide consistent high quality heating service, repairs, and installations for all of Boise, Meridian, Eagle, Star & Middleton, ID and surrounding areas. Our technicians are knowledgeable and skilled in heating system services to ensure you get optimum comfort for your home. Whether you have a furnace or heat pump, or are interested in upgrading or installing a new heating system, we have you covered. Even in the summer months and especially heading into fall, it’s important to make sure your system is working properly for the upcoming winter. Contact our team today to learn more about all our heating services! During the hot summer months in Boise, Meridian, Eagle, Star & Middleton, ID, your home can be uncomfortable and even unenjoyable. Jim's Heating & Cooling is dedicated to making you as comfortable as possible, which is why we provide expert air conditioning repairs, service, and installations for your home. All summer long, you can count on our team to keep your cooling system in check. If you don’t have an air conditioning system yet, now might be the perfect time to invest! We offer high quality Carrier products, one of the most trusted names in the industry. Our skilled technicians are knowledgeable in Carrier cooling systems and have the expertise to get them installed right the first time. Get in touch with our team today to learn more about all the A/C services we have to offer! The quality of your indoor air can affect your health, comfort, energy usage, and can actually be more polluted than the outdoor air. Our qualified technicians will analyze the space in your home and HVAC system and recommended the perfect solution to suit your needs and budget. Degraded air quality can cause inefficiency, wear and tear, and premature failures to your HVAC system, not to mention a wide range of health problems. With Jim's Heating & Cooling, you can feel more comfortable in your home and help to keep your heating and cooling systems working in tip-top shape. Call us today to learn more! If you find that you’re struggling to keep your home at even, comfortable temperatures, or your energy bills are rising, it may be time to consider professional duct cleaning and sealing from Jim's Heating & Cooling. On average, half of the energy consumption in your home comes from your HVAC systems. At Jim's Heating & Cooling, we strive to provide extremely high quality service and products to keep your home comfortable and energy efficient. Contact our team today to learn more! The team at Jim's Heating & Cooling always has our customers best interests in mind. When you need HVAC system services, we want you to feel comfortable and confident in our services. We have teamed up with Wells Fargo and the Carrier Company to do just that. Qualified buyers will enjoy flexible financing options with approved credit. Visit our financing page to apply and for more information. Affordable. Comfortable. Reliable. When you contact Jim's Heating & Cooling for installation, maintenance, or repair of heating, cooling, or air quality systems, we make sure those words apply to you. Family owned and operated, we take great pride in providing a trusted source of comprehensive HVAC services to homeowners in Boise, Meridian, Eagle, Star & Middleton, ID. Our goal is to ensure a healthy, safe, and sustainable indoor environment through superior products, state-of-the-art equipment, and skilled workmanship. For new system installation or upgrades, rest-assured, we rely on more than a measuring tape to determine the most efficient, effective, and rewarding system to meet your exact needs. Working closely with you and utilizing the latest technology, we ensure optimum performance, service life, and value from your investment. For preventative upkeep, repairs, or Emergency Service, our team of expert HVAC technicians deliver timely, expert, and long-term solutions, and are on-call and ready to respond 24 hours a day, 365 days a year. The HVAC Service Company You Can Trust! 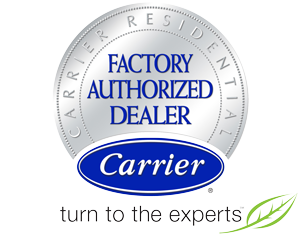 To be distinguished as a Carrier Factory Authorized Dealer, Jim's Heating & Cooling consistently meets strenuous requirements for sound business practices, including all proper licenses, insurance, and liability coverage. We are held to exemplary standards of customer service, based on satisfaction surveys, and our team continues factory direct training, remaining current with evolving techniques and technology. By adhering to strict service and installation procedures, and utilizing Factory Authorized parts when possible, we promote ideal efficiency, reliability, and sound levels. Our sales team receives regular updates, staying ahead of product development and ensuring knowledgeable recommendation of the perfect solution for your specific needs. By specializing in groundbreaking Carrier products, we are experts in the installation and service of all components, and answer every challenge with the experience and skill that ensures quick and accurate resolution. To further protect your interests, our technicians are NATE-certified. NATE certification tests validate real working knowledge of HVAC systems. It is the only technical certification organization developed, operated, and supported by the entire industry. The best in heating, cooling, and indoor air quality services, repairs, and installations throughout Boise, Meridian, Eagle, Star & Middleton, ID! 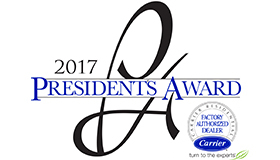 We specialize in a variety of leading manufacturers, including Carrier, Honeywell, Aprilaire, Mitsubishi, and Navien to bring you award-winning solutions to home temperature control and air quality. As a member in good-standing of the Better Business Bureau, Jim's Heating & Cooling upholds a tradition of dedicated customer service. Established in 1976, we build lasting relationships with our clients through responsible and courteous workmanship. Our qualified technicians bring extensive industry background and hands-on experience to every project, managing each step of the process with the expertise that comes from a higher level of commitment. We know what it takes to maintain a perfectly comfortable indoor space, despite the weather outside, and without straining your budget. By implementing quality products and proven procedures, we fulfill your complete satisfaction. Proudly serving homeowners across Boise, Meridian, Eagle, Star & Middleton, ID, Jim's Heating & Cooling is your trusted solution.